WAP Air Charter has one goal, and one goal only- to exceed our customer’s expectation each and every time that they charter a flight with us. Our service and expertise is what brings customers back time and time again. With the broadest connections and the experience to back it up, we offer unparalleled service that redefines what customers should expect from a broker. Our job is to get you what you need and what you want. From the right airport to the perfect jet and everything needed in between, our representatives will get you what you need, when you need it. 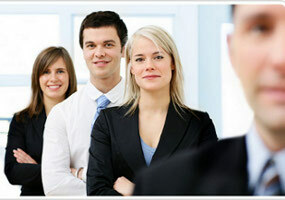 Our representatives are professional and discreet, ready to serve your need. There will never be hidden fees. We only offer all inclusive pricing so there will never be any surprises. We will listen to what you need, discussing options and making suggestions when appropriate. We will answer every question and concern, leaving nothing to chance. Using our people, not machines, we will quote a minimum of five jet charters for each client in order to give you the best rates and options available. All service providers are screened to ensure that they are ARG/US rated Gold or Platinum for safety. In addition to the chartered flight, let us manage all of the other details for your trip such as transportation, catering and hotel accommodations. We know that you will be happy with the result. We will exceed your expectations each and every time you call on us.